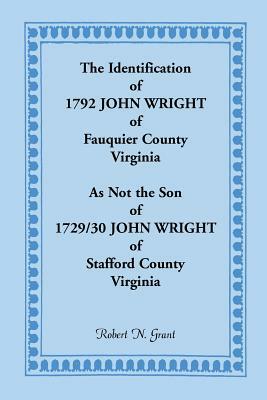 In 1824, John Walker purchased a 500-acre farm in King and Queen County, Virginia, and began working it with a dozen slaves. The son of a local politician and planter who grew tobacco, Walker lost status when he became a devout Methodist, raised wheat, and treated his slaves like brothers and sisters. He also kept a detailed and fascinating journal. Drawing on this forty-three-year chronicle, Claudia L. Bushman provides a richly illuminating study, a microhistory that is rewarding to read. Walker sets aside most of the "Old South planter" stereotype. He sold wheat in Baltimore and Norfolk and invested in railroad stock, and yet he grew, spun, and wove cotton for clothing, tanned leather, and made shoes. He avoided lavish creature comforts in favor of purchasing the latest farm equipment. So far from losing out to soil exhaustion, he experimented with improved farming methods, nourished his land, and kept his yields high. Walker's journal describes the legal cases he tenaciously pursued, records devotion to the local Methodist church, and explains his practice of Thomsonian medicine on slaves and family members alike. He provides insight into women's work and lays out the drama of blacks and whites living in close intimacy and constant fear. Walker humbly referred to himself as "a poor illiterate worm," but his diary dramatically captures the life of a small planter in antebellum Virginia. Description: In 1824, John Walker purchased a 500-acre farm in King and Queen County, Virginia, and began working it with a dozen slaves. The son of a local politician and planter who grew tobacco, Walker lost status when he became a devout Methodist, raised wheat, and treated his slaves like brothers and sisters. He also kept a detailed and fascinating journal. Claudia L. Bushman teaches history and American studies at Columbia University. She is the author and editor of seven books, including Mormon Sisters: Women in Early Utah; America Discovers Columbus: How an Italian Explorer Became an American Hero; and "A Good Poor Man's Wife," Being a Chronicle of Harriet Hanson Robinson and Her Family in Nineteenth-Century New England.